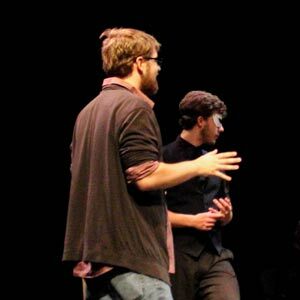 For more info please visit the <a href="http://theatre.fullcoll.edu/scm.asp?scmpageid=14">Playwrights Festival</a> page. Sorry this performance of Playwrights Festival is sold out. A wait list will be made available starting one-hour prior to the start of this performance. You must show up in person to place your name on the list during this time. Sorry this performance of Playwrights Festival is not on sale yet. Most performances go on sale no less than four weeks before the production begins. 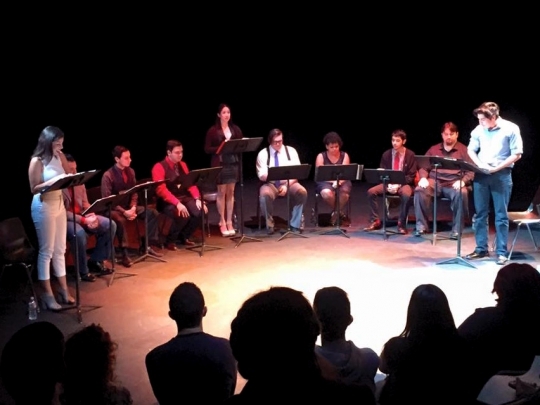 In January each year the Fullerton College Resident Theatre Company Playwrights' Festival assembles a company of student actors, professional directors, and a professional dramaturge in a two week process of helping playwrights to discover and develop their plays. 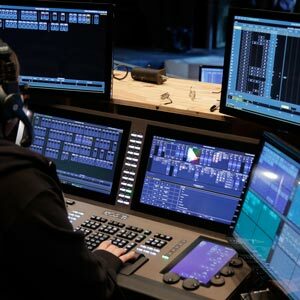 Each play is given a careful workshop critique, several rehearsals, and a prepared reading for an audience of company members and general public, followed by a post-presentation discussion with the audience. Playwrights are invited to submit new scripts for consideration no later than the first week in October. Auditions for actors are conducted in November. Do you have any questions, comments or concerns about Playwrights Festival ?. Please fill out the form below and someone will return your inquiry shorty. Please notify me when the images and/or program from the production of Playwrights Festival becomes available.